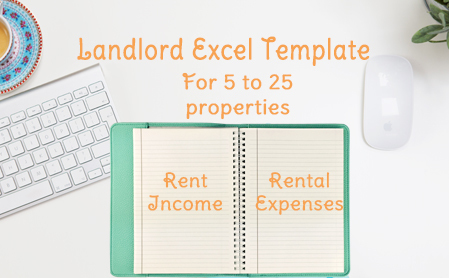 Easily track your rental income, late fees and balances due, along with all your rental property expenses, in 1 excel template that will keep you organized. 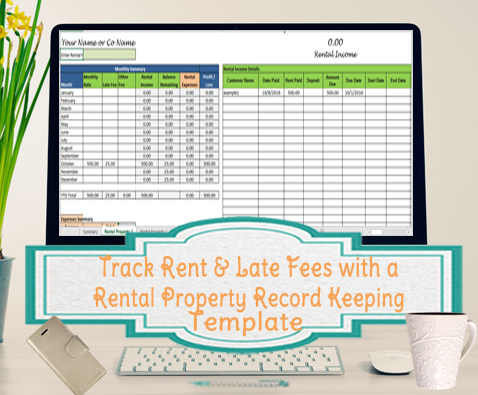 This excel template is set up to make it easy for you to track your rental income, late fees, and all rental property related expenses. 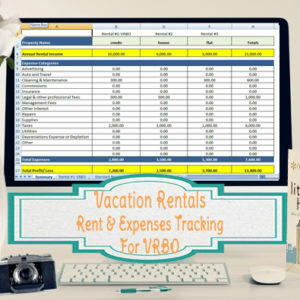 Simply enter the monthly rent that is due, and when rent isn’t paid or is not paid in full, the remaining balance column will automatically calculate the balance due. You can also add in the late fee charges that get added into the balance due column. There are 2 options for this template – the 5 property version or 15 property version. 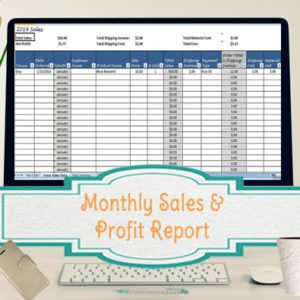 Each property has it’s own page, along with a summary page that will show the annual totals per property. Works with both long term and short term rentals. All cells that contain formulas are protected so that you don’t accidentally write over them. Once you enter your details in the specified places, the cells with formulas will automatically sum up your data. All pages are set to print, however you can also change the print settings. The basic versions without the updates for remaining balance are available here for 5, 10,15, 25 or 30 properties. 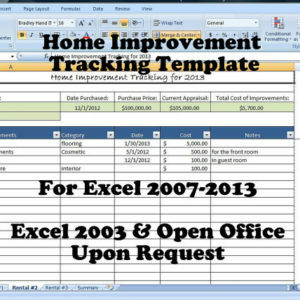 You will receive via email, an Excel spreadsheet Template, along with directions in PDF.